An easy-to-read text for both the amateur and professional. Aerobic Fitness Exercise is critical for a healthy heart, circulatory system and lungs; and overall general wellbeing. This book is an easy-to-read text for both the amateur and professional. 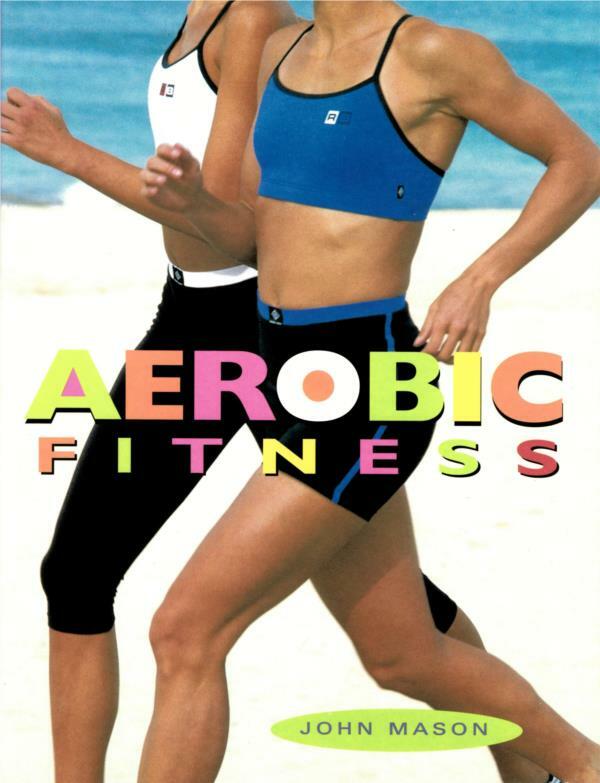 From aerobic fitness levels & overall health to the body and its functions, this book will give you a deeper understanding of the science behind aerobic fitness, with heaps of practical tips. The 122 pages include illustrations and photographs of exercises with complimentary explanations. Aerobic exercise should be tailored to meet the needs of the individual. For most people the main concern is their level of fitness -if they are not fit and exercise sparingly, they should probably undertake relatively low intensity, low impact and short duration exercise. In contrast, a person with above average fitness will need to exercise for longer periods at a higher intensity in order to maintain or improve their aerobic capacity. There are many other types of people however, who require special consideration, due to unique factors which can impact on them undertaking aerobic exercise. Some people have a temporary or permanent condition (physical or physiological) which affects what types of exercise they can or should do. Women may still wish to participate in aerobic exercise both during pre- and postnatal periods. In the early stages and through most pregnancies aerobics can still be performed however it is advised to reduce intensity and in some cases avoid specific exercise routines. It is easier to have an entire lesson at the same or various levels of pregnancies than to have a lesson to teach with a range of women who are and are not pregnant. Low impact aerobic activities is most important. * pelvic floor problems may develop so take care with these types of exercises. * extreme environmental activities like mountain climbing, scuba diving, etc. It is important to have pregnant women see a medical doctor before and throughout the period if they partake in aerobics. A specialist doctor may advise individuals not to perform specific movements or suggest that they take an easier low impact lesson. To ensure the safety of the individual there are some guidelines that need to be considered when participating in aerobic exercise. Good education is the first step to informing participants on what needs to be considered. Secondly, the frequency, intensity, time and type of aerobic exercise is extremely important for women to understand how to modify their exercise program. The pregnant exerciser needs to learn not only what she is doing but why. There can be implications for women who do not alter their routine and it is essential that the growing baby is the most important factor to consider. Firstly, the frequency of participating in aerobic/aqua exercise in the earlier stages of pregnancy should be approximately three to four times per week. After the 28 th week she should not be exercising more than four classes per week. Research has indicated that frequent exercise after the 28 th week is linked with lower birth weight babies. It is vital that the intensity of the session does not allow the heart rate to exceed 150-155 beats per minute as this can result in adverse effects on the baby. Higher heart rates of some pregnant women have shown to cause foetal stress. The resting heart rate rises naturally during pregnancy therefore the amount of exercise it takes to increase the heart rate will be less than the female not being pregnant. It is suggested that a woman during pregnancy may wear a heart rate monitor to establish how long it takes before reaching the recommended maximum HR and allows her to stay at 150/155 bpm or lower, depending on fitness & age. The type of exercise that the pregnant exerciser engages in is important and the sporting activities that are not recommended include gymnastics, basketball, horse back riding and surfing which all take the risk of harming the baby through a hard blow to the abdomen, repetitive twisting or turning or a fall. Low impact aerobic exercises are a safe and relaxing activity if completed in the correct manner. After taking into consideration modifications for individual's participating in a class an effective session should be achieved with many associated benefits. The following teaching tips are a guide to modifying the routine for pregnant women. Aerobic exercise machines that are generally safe for the average healthy pregnant lady include rowing machines, stair climbers and treadmills. Shoulder shrugs and rotations, pelvic floor exercises, pelvic tilts and rocks and abdominal curls (only in early pregnancy). The aim should be to condition muscles that support and strengthen posture. It is suggested that continuous exercise for 25 minutes with a heart rate of 150 bmp should have no adverse effects on the baby. There are several obvious limitations in a class or exercising individually. An older person generally has different physical characteristics than a younger person (eg. more fragile bones and skin, a reduced aerobic capacity). Their exercise needs to be modified accordingly. It is wise for elderly people to have medical clearance before entering an aerobic exercise program, and it is advisable to renew that medical clearance every 6 months. Consequently, the instructor should be aware of the problems more likely to occur with participants from this group. Osteoporosis (ie. development of increasingly fragile bones), is a condition mainly of older people. Poor eating habits, smoking and other lifestyle factors can make this condition worse in some elderly people than others. By exercising and using bones, deterioration process can be slowed. Water exercise such are aqua fitness classes can help anyone with osteoporosis. Aerobic fitness programs can help however movements such as jumping and jarring should be avoided, and all movements should be performed at a leisurely pace Osteoporosis benefits from the action of gravity during exercise such as walking. Rheumatoid Arthritis occurs when the synovial membrane in a joint becomes thickened and inflamed. This can occur in people of any age. Osteoarthritis is caused by the normal wearing of joints throughout a persons lifetime. As such it tends to occur in older people. Vigorous exercise can aggravate arthritic conditions, but mild and gentle exercise can be beneficial, increasing lubrication of the joints during warm up. If the exercise is pleasant, then the intensity of the program is good, but if it is painful, it is best to reduce the intensity. There are different types of arthritis; but the exercise recommended for each type is generally the same. Arthritic people should take twice the normal time for the warm up phase of a program. Take longer to do stretches, but avoid any stretches which are particularly painful.